I’m like hey, what’s up, hello; Just got done Top 8ing YCS Ohio! This week I’m going to discuss everything that went into my Top 8 at YCS Ohio, as well as the overall tournament experience with as much detail as I can recall. In a similar format to my preceding tournament report, I will explain why I chose the cards that I featured in my deck list and why I believed they were the best card choices for the event. As much as I would have liked to Top 8 this event with Frog Monarchs, that just isn’t something that is feasible by any means if you look at the current metagame. While I am a huge believer in playing what you enjoy, there is a time and place for everything. I could not bring myself to play something that wasn’t Nekroz at what is surely going to be one of the biggest events this calendar year has to offer. Similar frustration stemmed from past formats as well; people became tired of seeing Dragon Ruler deck profiles because the deck dominated nearly every event it participated in. Looking even further into the past, the Mono-Mermail deck won several events in a row, and people were just as frustrated as they are looking at today’s metagame. When a deck overtakes a minimum of half of the top spots of each event it participates in, it isn’t a mystery that the competitive players will continue to play it until it gets hit on the Forbidden and Limited List. Just because the majority of the competitive players utilize the power of Nekroz, does not mean that these same players do not feel that same desire of wanting a change of scenery in the Meta. I presented the above anecdote to display my own feelings about the shape that the current metagame has taken. I find it fairly difficult to ignore what the viewers of ARG content are saying and not respond. While I cannot respond to each individual comment, I wanted to present a response that would show that my similar distaste for the current state of the metagame. I digress, lets take a look at the deck list that I elected to use at YCS Columbus! While playtesting in Michigan, my friend Marjanco Gorgievski (The Candyman) and I came to the conclusion that Exiled Force would be the best Djinn solution for this event because everyone would be searching out Valkyrus to protect their own Djinn lock. 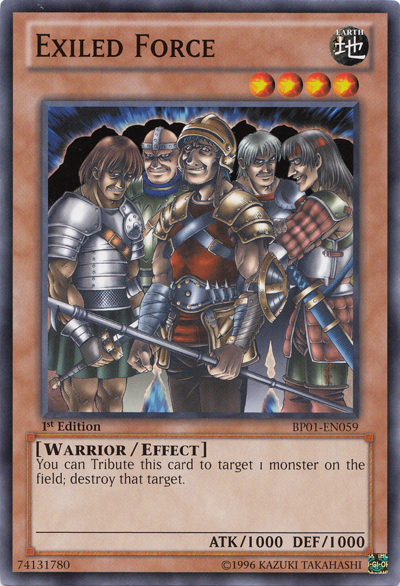 Everyone was previously searching Nekroz of Valkyrus to prevent themselves from getting Bull Blader’d or D.D. Warrior Lady’d. 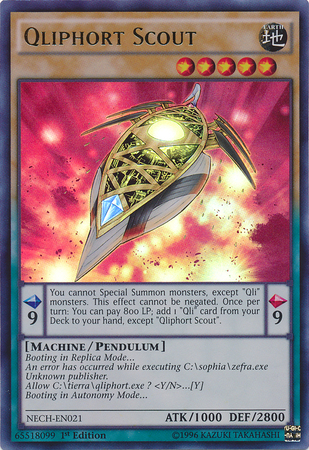 We also wanted to take advantage of the fact that nobody was using Nekroz of Gungnir in their decks anymore as that was a very solid solution to our Exiled Force tech. Just ask Tyree Tinsley how good Exiled Force was in our Top 16 feature match! I chose to run three copies of Maxx “C” in my main deck over something like Effect Veiler because I wanted a card that would allow me to retain my card advantage while also putting my opponent further behind in their own card advantage. 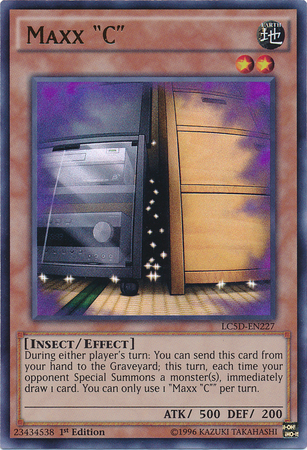 Using Effect Veiler was something I wanted to avoid because I presumed that everyone would be using multiple copies of Nekroz of Trishula in their main decks. Maxx “C” also made going second extremely optimal because it almost always turned itself into a combo piece and prevented my opponent from getting out of the early game. Blasphemy! What? Why? How? Who? Asdggdsfdsadfga! 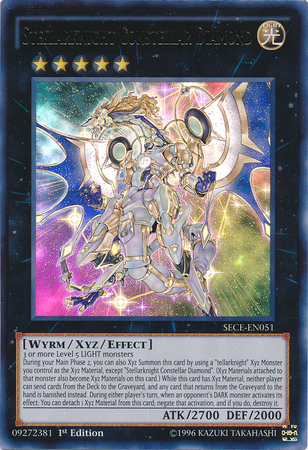 Yes, I used Nekroz of Gungnir in my Nekroz deck list, and it was actually one of the best cards all weekend! Prior to this event, most Nekroz players would simply take damage because nobody was using Gungnir due to it being a lackluster combo piece. 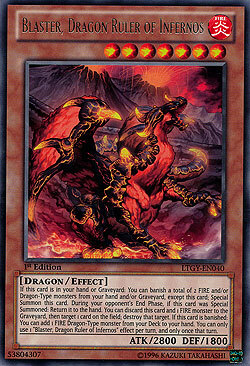 I wanted to take advantage of this by implementing Nekroz of Gungnir back into my main deck. Gungnir played a part in nearly every single one of my Nekroz mirror matches and stole a large amount of games because of his ability to run through Nekroz of Valkyrus! Gungnir was also extremely solid at preventing my opponent’s from breaking through my own Djinn lock because all of the other Nekroz players were using Bull Blader and the rogue decks used cards like Raigeki or Dark Hole. Is one the loneliest number that you’ll ever know? I didn’t seem to think so, and for that reason I only wanted to utilize one copy of Nekroz of Trishula in my main deck. Since I was using Gungnir again, I didn’t want multiple copies of Trishula to clog with the Nekroz of Gungnir, which prompted me to cut down on the copies of Trishula. 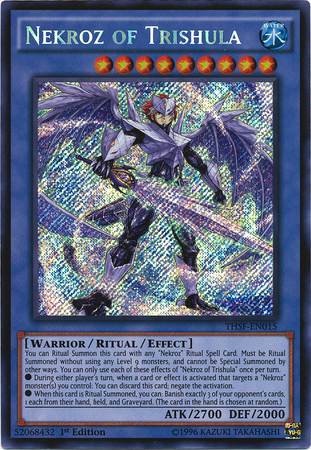 I also found that a lot of other Nekroz players were deviating from using Effect Veiler, which made the second copy of Trishula less optimal in my eyes. 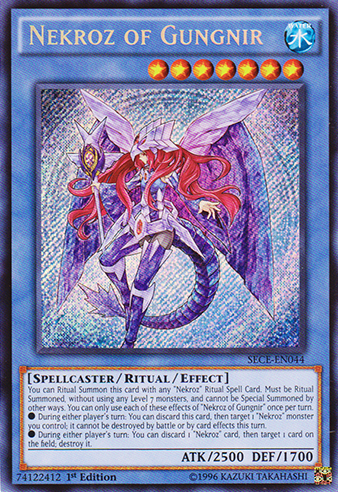 I also saw the one copy of Trishula as a mind game for my opponents as they would not be certain how many copies I was playing, which means that even if they removed my Trishula from play, I would still implant a sense of fear in my opponent because the second Trishula could come down at any moment. This was another card choice that was made due to space issues. On Friday evening I played roughly 30 matches with my friend Mike Albanese at pre-registration and found Nekroz of Valkyrus to be extremely cloggy for the first time in a long time. I didn’t want to cut down to two copies, but while late night testing with Jeff we both agreed that I should cut Valkyrus down to two because it was contributing to my brick hands more than Gungnir was. This seemed to be a choice that nearly every Nekroz player elected to make for this event. I decided to only side deck this card to just ask my opponents to side it out, which to my surprise was already in their own side board. I had a long conversation about Nekroz with my pal Robert Scarpelli about a month ago, and he told me that he did not like Vanity’s Emptiness because it prevented him from advancing his own gamestate. While Vanity’s Emptiness prevents your opponent from advancing their own gamestate, they can very easily stall with Nekroz of Valkyrus until they see an out. Keeping Vanity’s Emptiness out of the game made the mirror match exponentially simpler because keeping Vanity’s out permitted me to side out my MSTs and put in Shared Rides and Artifact Lanceas. I have to be completely honest, I had no idea how Tellarknight Ptolemaeus worked until about 11pm on Friday night of pre-registration! I watched Jeff play with Bo Tang at pre-registration and Bo was using Ptolemaeus in his extra deck along with Delteros and I was quite confused. Bo told me that Ptolemaeus actually gives you a good rank four to summon in the Shaddoll match-up. Ptolemaeus has the power to transform into Satellarknight Constellar Diamond, which can outright win you the game against Shaddoll. 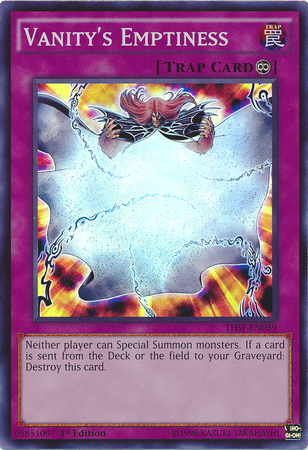 The reason I used Delteros, was because I wanted to be able to summon Diamond on my turn one if I knew I was playing against Shaddoll. 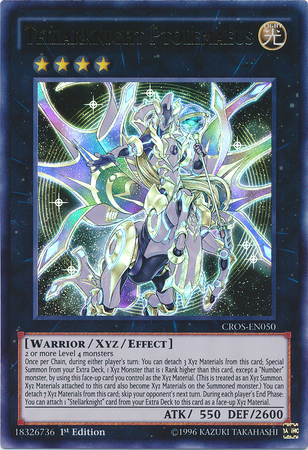 Ptolemeaus’s ability lets you attach a Tellarknight xyz monster to it as a material during each of your end phases, which then allows you to rank up into a Diamond at any point on your opponent’s turn. I cannot thank Bo Tang enough for this massive last minute change that proved to be integral in winning the majority of my Shaddoll matches this past weekend! At this point I feel like I’ve begun to kill this guy’s vibe and as I see the frustration building up around his head. I proceed to swim through his backrows like Michael Phelps and push for game. Game Two: He makes me go first, and I see Royal Decree and multiple Mystical Space Typhoons and know that the game is over and his vibe is officially murdered. Since I have him locked out of his traps I am able to run through his backrow and finish the game off fairly quickly! Game One: He draws suboptimal and I am able to otk him turn by my second turn. Game Two: He goes through an extensive play, which ends him with a Valkyrus in hand, but he fails to realize the power of my Nekroz of Gungnir. I can tell my opponent is feeling safe, so he takes some damage and once I see his life points drop below 5000, I know it’s time to go to work. This guy wasn’t wearing a “Don’t Kill My Vibe” shirt, but I could tell by his “Chicago” shirt that he had multiple mixtapes that he deemed “fire.” Naturally I put that “fire” out with the power of my illustrious water monsters of the Nekroz orientation! I summoned my Gungnir along with a Unicore and a Valkyrus and proceeded to push through my opponent’s Valkyrus and win the game. Game One: He assumes I am from Michigan because of Jeff and we start having a conversation about my relationship with my boo. As the conversation progresses I normal summon a Manju, and my opponent says, “Oh, it’s not a mirror match?” And I instantly summon a Nekroz of Unicore along with the Manju and summon a Ptolemaeus. I used Ptolemaeus to rank up into the all-powerful Tellarknight Diamond, which put me very far ahead and allowed me to snag game one, and put it in a coffin. Game Two: I open Royal Decree and lock him out of all his floodgates, which allowed me to run train on this guy. Game One: I look at my hand and realize I’m going to lose, but I try my best to get my deck out of the early game. After a series of unfortunate events, my opponent was able to summon an Anoyatyllis and steal game one. Game Two: Game two I’m feeling great as I notice I have a dark hole, Raigeki, and a mystical space typhoon in my hand along with a Manju and a Kaleidomirror. I used the power of my spell cards to create an opening and summon a Diamond to win the game. Game Three: My opponent tried his best to get going, but the Shaddoll monsters had built a brick house that the big bad wolf just couldn’t blow over. I used Trishula’s effect to remove my opponent’s chances of victory from the game. Game One: I see whom I am playing against and realize he is the Qliphort player that had just beaten my love Jeff Jones. Knowing this I wanted nothing more than to avenge my boo. The first game goes just as expected and I get floodgated into the ground. I felt like a tidal wave of mystery and my opponent was just sitting there safe and sound. Game Two: The game begins with my opponent summoning a Spell Canceller and the only thing I can think at this moment is “wow, I guess this is my first loss.” The game progresses as I’m stalling with multiple Valkyruses, until he finally flips up an Imperial Iron Wall. At this moment the only cards that can save me are the hands. I drew and saw Ice Hand! Feeling full of life, I normal summon my Ice Hand feeling colder than Lil B. My Ice Hand meets one of the most beautiful fates I have ever seen, my opponent used Solemn Warning on its normal summon! I used my Ice Hand’s power to destroy my opponent’s Lose One Turn and proceeded to run train on his field with the hands! Despite my best efforts my opponent was able to summon another Spell Canceller. Feeling defeated I stalled with Valkyrus while I could. On my opponent’s next turn, he flipped up a Skill Drain. Feeling absolutely puzzled, I pondered if he maybe had game. Much to my surprise, he didn’t and I was able to dismantle his field with Raigeki and win game two! At this moment I knew that I had been given a gift from the Yugioh Gods and didn’t want to let their gift go to waste! Game Three: This game basically begins in time and my opponent’s hand is a vast multitude of upstart goblins and cards that are typically awful in time. I normal summon a Manju and he uses Chaos Trap Hole, which puts the biggest smile on my face because I know I’m going to win. The life point differential was too far out of his favor and I manage to escape my first defeat! Game One: This game goes very back and forth and I end up losing because I can’t deal with all of the trap cards. Game Two: This game goes into time and I manage to win but am very upset with the way the game had gone. Game One: I ended up running into not one, not two, but three Mirror Forces this game one and get overwhelmed. My opponent was very good at getting the most value out of his cards and I feel like I might lose this match. Game Two: With the help of multiple dark holes I am able to disassemble my opponent’s fields and score the victory for game two. Game Three: This game ended up in time, but I ultimately was able to win the game when he used his Crush Card Virus on me and I proceeded to destroy Fire Hand from my deck and incinerate my opponent’s chances of winning this game. I used Fire Hand’s effect to destroy my opponent’s face-up Anoyatyllis and was able to win because my opponent took 1400 and couldn’t deal damage on his next turn. Game One: My opponent goes first and sets three after he normal summons Ritual Beast Cannahawk. I try to navigate my way through his backrow but end up getting dominated by his Ritual Beast Steeds. On his next turn he goes absolutely crazy and gets too far ahead and I just lose. Game Two: Feeling in awe of the power of Ritual Beasts I tried my best to create any sort of field, but I just couldn’t get going and he otk’d me through my Valkyrus. After getting 2-0d by Ritual Beasts I tried to figure out the mistakes that I made and remember them for the next time I played against this deck. The biggest mistake that I made was not siding in my Artifact Lanceas. Game One: This was it, the last round of day one. Win and I can play the next day or lose and go home with nothing. The game got underway very fast and I was able to win fairly quickly because my opponent was not able to draw any of his Manjus/Senjus. Game Two: I opened up extremely strong with a Djinn lock paired with a Forbidden Lance and I sailed through the ocean of victory because my opponent wasn’t able to break my lock. Game One: I notice that this guy was a friend of my last Ritual Beast opponent, which made me wonder if they were playing similar decks. 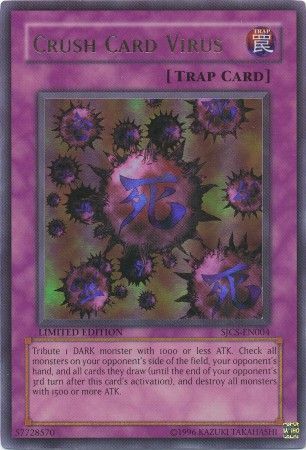 My fears were realized when he destroyed me with a barrage of traps and monsters that didn’t seem to care about my Nekroz of Valkyruses. Game Two: At this point I remembered my previous error, which immediately prompted me to side in my Artifact Lanceas along with my Royal Decrees. I also elected to go first because I wanted to Djinn lock and supplement that same Djinn lock with a Royal Decree to lock my opponent out of his trap cards. I look at my opening hand and noticed that everything was going according to plan! I successfully resolved the Djinn lock and set my Royal Decree along with an extra Nekroz Mirror that I wanted to use as a bluff. My opponent set a monster and set three backrows. During his end phase, I gripped my Royal Decree and flipped it face up and watched my opponent’s good mood fall apart. I was able to win this game easily because I didn’t have to worry about traps and my opponent wasn’t able to get anything going. Game Three: My opponent tells me that his hand isn’t very good, which makes me wonder if he was really telling the truth. I played it safe and treated all his cards like they were genuine. I normal summoned a Manju and it was met with a Chaos Trap Hole. My opponent drew and sighed again; he set another card and passed. I once again tried to summon a Manju and it was met with a second Chaos Trap Hole! Since I opened up with two Manjus and one Senju, I was feeling great as my opponent had paid half of his life points and had no field to show for it. The Senju summon resolved and I was able to make a successful game push. Game One: I sit down and my opponent looks very depressed. He informed me that he was given a game loss for having one of the Bandai cards in his calculator case, which wasn’t really relevant to me, but I still felt bad for him. I won the dice roll and made him go first. He used a Brionac to search a Valkyrus and passed. I Djinn locked and searched out a Nekroz of Trishula to pair with my already in-hand Nekroz of Gungnir. On my opponent’s next turn he used a Raigeki, which met the power of my Nekroz of Gungnir and he scooped on the spot! Game Two: My opponent and I trade multiple attacks that are met with Valkyruses and I eventually see a window for victory because I had Lancea’d my opponent and seen his hand. I used my all mighty Exiled Force along with my Nekroz of Unicore and Valkyrus to attack for game because I knew my opponent did not have a Valkyrus! Feeling exhilarated, I got a celebratory smoothie with Jeff to celebrate my top 32! After the swiss rounds were over I found myself in Ninth place with a 9-1-1 record! The fun was only beginning because I now had to focus on my next round, Top 32! Game One: The game goes back and forth and he Trishula’s me, which leaves me with a lonely Shurit in my hand. Before drawing, I thought to myself, “What could I possibly draw?” I drew my card and it was Preparation of Rites! After not seeing this card too often in the swiss rounds I felt very blessed to have drawn it at such a perfect time! I used Preparation of Rites to summon multiple Valkyruses along with a Unicore and steal game one from the jaws of defeat! Game Two: My opponent refuses to side out Vanity’s Emptiness and forces me to go first. I looked at my hand, and thought “Top 16.” I Djinn locked him and back it up with a Shared Ride and a Vanity’s Emptiness, which was the perfect card to win this top 32 match with because my opponent refused to side it out! My opponent used a search effect and I chained my Shared Ride. He used Book of Eclipse and I was still feeling great! I acted like I was in a tough spot, which made my opponent commit more to his play. Since my opponent had overcommitted he gave me three more cards off my Shared Ride. He then activated a Nekroz Cycle and I sealed his fate with Vanity’s Emptiness! Game One: This time I was playing against the real “Insley” as I knew TJ was currently undefeated leading up to this round. He was very quiet but extremely pleasant as we both waited for our decks to be returned to us before our match. Once we got our decks back it was time to duel! Game one went back and forth but I eventually won game one with the power of my Nekroz of Gungnir, which allowed me to run through TJ’s Valkyrus. Gungnir had once again proven to be the real MVP of the weekend. Game Two: As we had just finished sided, a particular judge, who will not be named, announced that we were to have a random deck check mid round. Feeling uneasy as I knew this particular judge was notorious for handing out game-losses I tried to remain calm and hope for the best. When she returned, she informed me that I had an invalid side deck, which was true. TJ and I had both agreed to keep Vanity’s Emptiness out and we both sided it. I had accidently accounted for Vanity’s Emptiness being in my main deck and presented an illegal deck. I accepted my mistake and we went right to game three. I looked at my hand and felt pretty okay about the cards I drew because I had Shared Ride and Artifact Lancea. As the game progressed I had removed one of my Valkyruses for a mirror search, which proved to be a major detriment as TJ ended up beating me because of this. On his next turn I used Shared Ride and he took the “Shared Ride” challenge and went off. He was able to play around Artifact Lancea and summon two Nekroz of Valkyrus, a Nekroz of Unicore and a Manju to effectively end my run at YCS Columbus. Feeling rather upset with myself at the end of this game I packed my stuff up and headed towards the scorekeeper’s station to collect my prizes. Much to my surprise my friends all wanted to leave since I was out of the tournament. I kissed Jeff good-bye and reflected on my overall tournament experience on that 8-hour drive home. This event was a terrific experience and I cannot thank everyone that helped me prepare enough. I would like to personally thank Jeff Jones, Marjanco Gorgievski, Mike Albanese, Bo Tang, and all my friends in Michigan for helping me prepare for this event! I most assuredly could not have made it as far as I did without all of these people’s help!